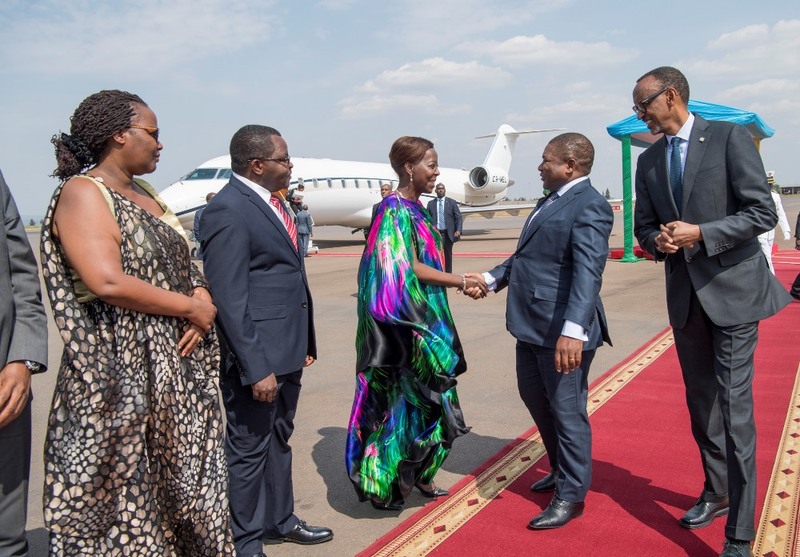 President of Mozambique Filipe Jacinto Nyusi is in Rwanda for a three-day state visit. He was received by President Paul Kagame at village Urugwiro in the capital Kigali. According to Mozambiquan media, this visit is aimed at reviewing bilateral cooperation between the two countries dating back to 1990. The Mozambican delegation intends, among several objectives, to arouse Rwanda’s interest in the exploitation of mineral coal, among other natural resources in Mozambique. Rwanda has already shown interest in Mozambique’s sugar and maize, which could be exported in the near future. In addition to official talks with his Rwandan counterpart Paul Kagamé, Philip Nyusi will visit a special economic zone where he will learn about the operation of the fortified food factory. The Mozambican head of State will also be presented with an official banquet, will visit the Kigali Genocide memorial, will participate in the Rwanda-Mozambique Business Forum and will travel to two districts.